Hmonitor, or Hardware Sensors Monitor, can help you to keep an eye on how your computer works, by avoiding an unexpected increase in the temperature, and that this causes damage or instability to the system. 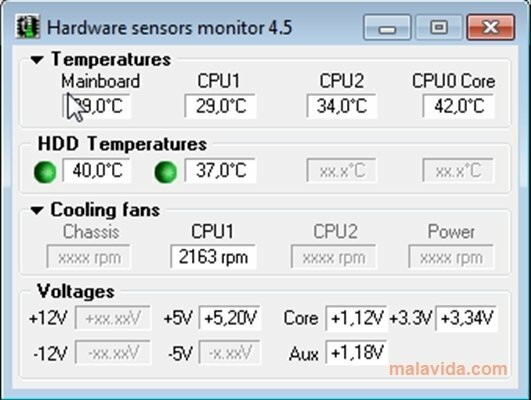 Thus, by knowing the temperature of the components of your hardware you will be able to prevent any potential risk. 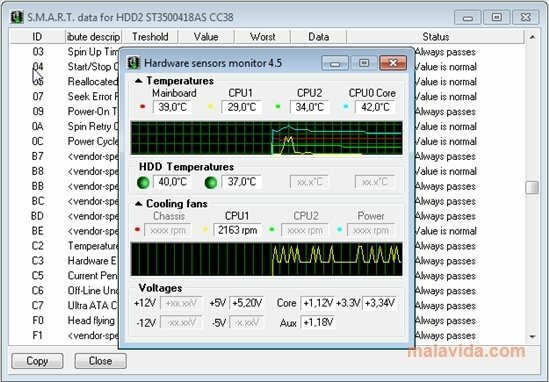 This tool uses sensors to keep track of the voltage and the temperature of such important elements as the CPU, the motherboard, the graphic card and the hard drives. 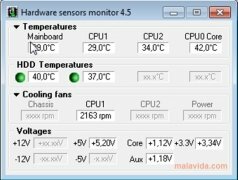 As well as being able to see the temperature of our hardware, Hmonitor will allow us to configure an alarm that will let us know when any of these elements exceed a pre-established limit temperature. 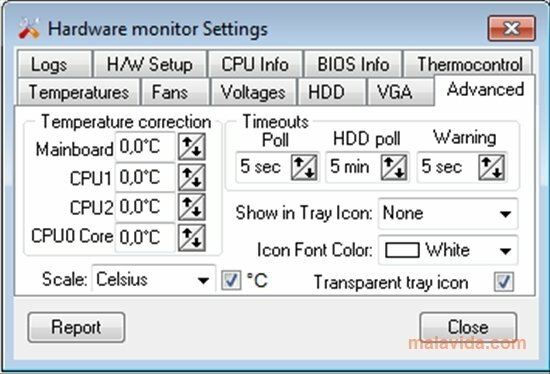 The software will allow us to establish the danger temperature level for the motherboard and the processor, by writing amounts in the Yellow zone or in the Red Zone. We will also be able to export the logs that the program keeps as time goes by, placing all the data in a TXT file to save it and check it whenever necessary. 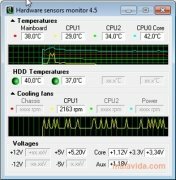 Don't allow your computer to lose efficiency or be at risk. 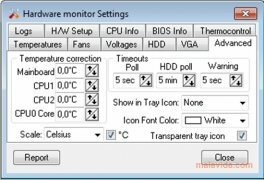 Hmonitor will manage to keep everything under control. This download requires a ZIP compatible compressor. The trial period lasts for 14 days.